The Junior Advanced Open Water Diver course allows young people to continue their diving adventure and build their skills. The "Adventures in Diving" program is flexible. It permits junior divers to experience new specialized activities. One Adventure dive at a time! Each Adventure dive has a specific theme. And, is a combination of knowledge development and dive skills. Children between 12 - 14 yrs can complete their PADI Junior Advanced Open Water in just five Adventure dives. 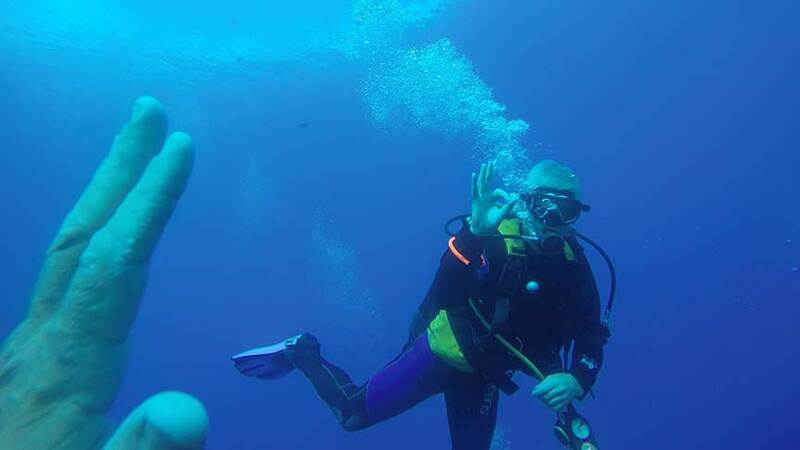 This course is aimed at increasing your ability as a diver. You get to choose 3 out of 5 of the adventure dives that make up this course. The other 2 dives must be Deep and Underwater Navigation. This course certifies you to dive to a maximum of 21 metres (between age 12-14yrs). Providing you are diving with a certified adult. Ages 12-14 years may complete three Adventure Dives to earn the Junior Adventure Diver rating. Or. five Adventure Dives to earn the Junior Advanced Open Water rating. If they complete the Deep Adventure Dive it must not exceed 21 metres. They must dive with a certified adult. PADI Adventure Diver can be completed with just three different Adventure dives. Dives can be collected (logged and verified by an Instructor) so that divers can earn their new qualification over time if they wish. Some of the Adventure Dives on offer include: Fish Identification, Boat, Deep, Drift, Multilevel and Computer, Night, Peak Performance Buoyancy, Underwater Naturalist, Underwater Navigation, Underwater Digital Photographer, and Wreck Dive.